Answering readers questions about our process of thinking about what to wear each day, from the colours and how they impact, to our processes for choosing an outfit which we shared here and here, Jill Chivers of Shop Your Wardrobe and I have been asked to answer the question of how do you know when your outfit is working? How do you train your eye to know that what you’ve put together is fabulous? How do you become better at creating stylish outfits? How do You Know if Your Outfit is Good? To get dress seamlessly and successfully, if you don’t have to be a style natural, as you can learn the science of style (that’s what I share here on the blog in the thousands of blog posts you can read), you just need to have some willing to learn more about what does and doesn’t work for you and also a little time to experiment, as you will learn by doing (not just by reading). Applying the principle of volume – fitted dress with voluminous kimono. The outfit also fits my style recipe and my colour palette. How Does Your Outfit Feel? Once you’ve learned about these external elements you need to delve inside yourself. It’s also imperative to know what you love – what are your personal favourites? Rules and guidelines are important, in fact I believe they give you wings. But you are the only person on the planet that knows how you feel in your clothes. 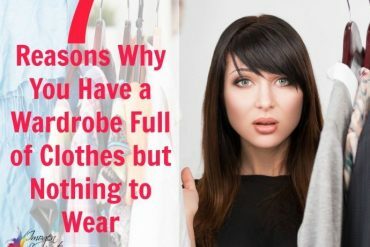 Read my 6 strategies for building a brilliant wardrobe to give you a better understanding of things you need to think about. Your clothes and accessories are your second skin. This is why your outfits need to be an extension of the inner you. If you try too hard to follow all the rules, you’ll miss out on the all-important personality element of your style puzzle and no matter how technically perfect the outfit, you won’t feel fabulous because it may not feel like “you”. 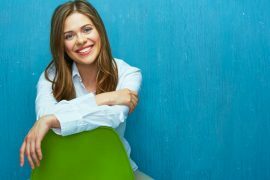 Discover 10 ways personality is more important than body shape here. 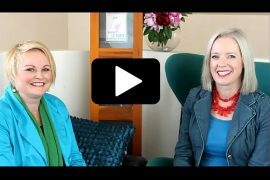 Discovering how your personality influences your style (and what to choose as well as what to avoid is Step 1 of my 7 Steps to Style program). 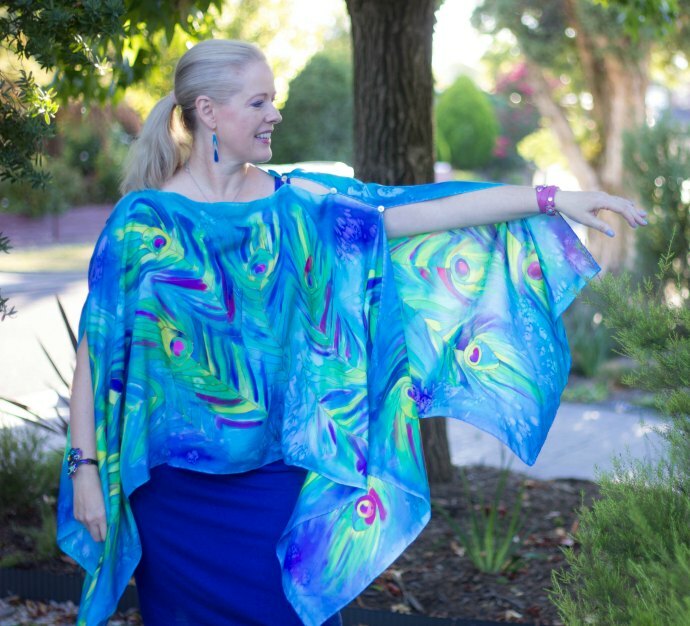 Personality element – I love this print – and the butterfly necklace is a personality piece! Here are five activities that you can do at home to improve your style – training your eye to see how to put a stylish outfit together, and learning more about your own personal preferences so that you can rinse and repeat more easily. Take a moment at the end of each day to consciously think about how you’ve felt in your outfit all day. Has it been comfortable (mentally, physically and emotionally)? Does it feel like you? Does it represent your Style Recipe? Would you love to wear this outfit again? How would you rate this outfit out of 10? If it’s less than an 8 – what tweaks or adjustments would you make to bring it up to at least an 8? Was it appropriate for the situation and did you feel that you fit-in comfortably? Train your body and sense of feeling for what works for you. Having learned more about your outfits, start a list of the elements of clothing and accessories – things that you love, and the things that you loathe. Grab a piece of paper and write LOVE IT on one side and LOATHE IT on the other. Think about things that irritate you and annoy (pop them in the Loath It list) and things that make your heart sing, that bring you joy, that make you feel confident, stylish and happy (those, of course, go on the Love It list). 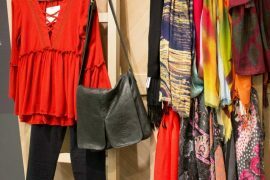 This list will help you to be more conscious and aware when shopping and outfitting yourself. It will also help you let go of items that contain elements in your Loath It list! 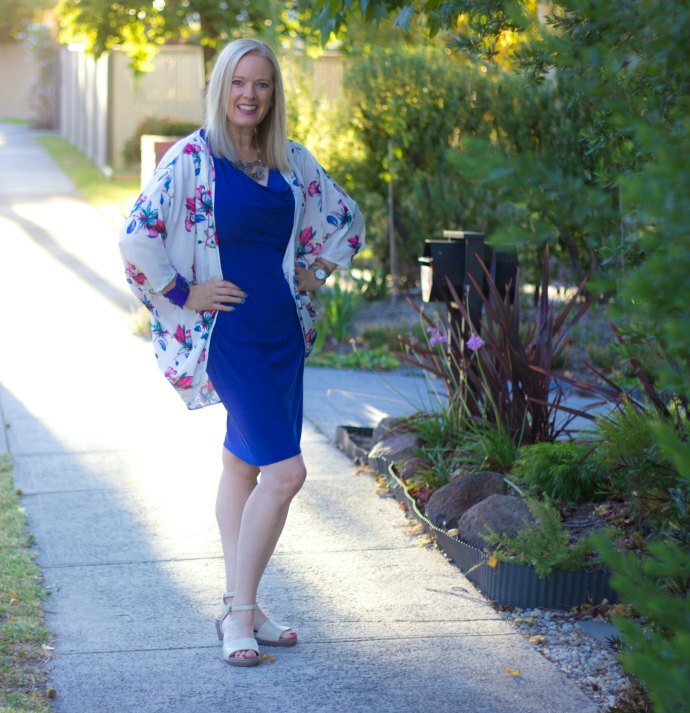 This peacock print kimono is on my Love It list as I love that it’s floaty and moves as I walk, love the colours, how it feels and that it adds a touch of glamour to my outfit. Taking an outfit photograph is a powerful tool to help you really see how your clothes and accessories look on you. Taking a photo helps you be more objective so you can see if the colours are working, the contrast is right, the fit is good, the shapes are flattering, the proportions balanced etc. Photographs help you to see the rules in action. 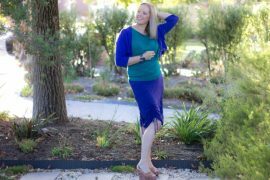 See why so many of my readers and program members have found taking outfit photos has really helped them improve their style. Here are some tips on taking good selfies – the technology, and how to pose. Seeing yourself in a photo allows you to see yourself in a physical form (slightly more objectivity) that will help you notice what isn’t working (and what is), so you can adjust and tweak. Collage your outfit photos and notice which are the most successful and the least. Ask yourself for each successful outfit: What rules have been applied here? How can I repeat this in a different outfit? Discover where you are currently going right or wrong in your outfit choices. Collect images on Pinterest of outfits or items that are attractive to you, outfits you find aesthetically pleasing. Can you start to see a theme or similarities emerging in the images? Then zoom in and notice the details – are there certain sorts of fabrics used? Particular prints or colour combinations? Textures, shapes or proportions? Drop into the detail and notice how successful outfits are put together. Look at all the elements in a detailed way and then think about if these are appropriate for your style and how you could incorporate some of those elements into your own outfits. 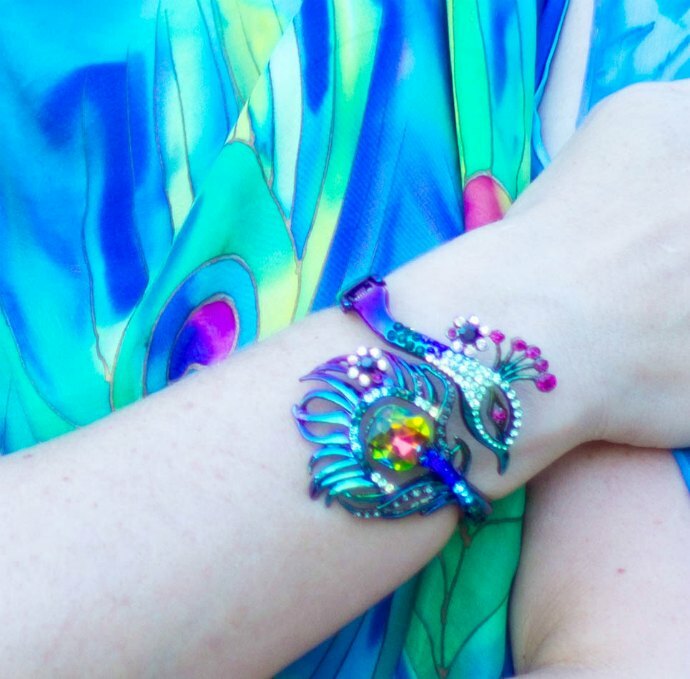 Zoom in on the detail – this peacock bracelet from peacock print kimono is another personality piece that works with the principles of coordination but also expresses my style recipe of Functional Individualist – yes it’s totally functional as I can type easily with it on (one of my criteria for wearing a bracelet). Now it’s time to have a playshop in your wardrobe. Take some time and use the information you’ve learned both here on the blog and in these proceeding exercises listed above. Playing around in the wardrobe and trying things out and experimenting will help you build your style muscles and learn what does and doesn’t work for you. Take photographs of your experiments so that you can then keep making adjustments and improvements to your outfits. Remember that Style is a journey not a destination. You’re never actually “done” your style can morph and change as you grown and change over your lifetime to reflect the you that you are today. Remember that you’re after a future-focused wardrobe. Getting external feedback on your outfits really helps you improve your style. 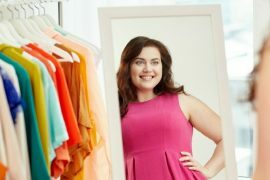 Join a style challenge like Evolve Your Style – get feedback on your outfits for each challenge from our fantastically knowledgeable and friendly Facebook group members. 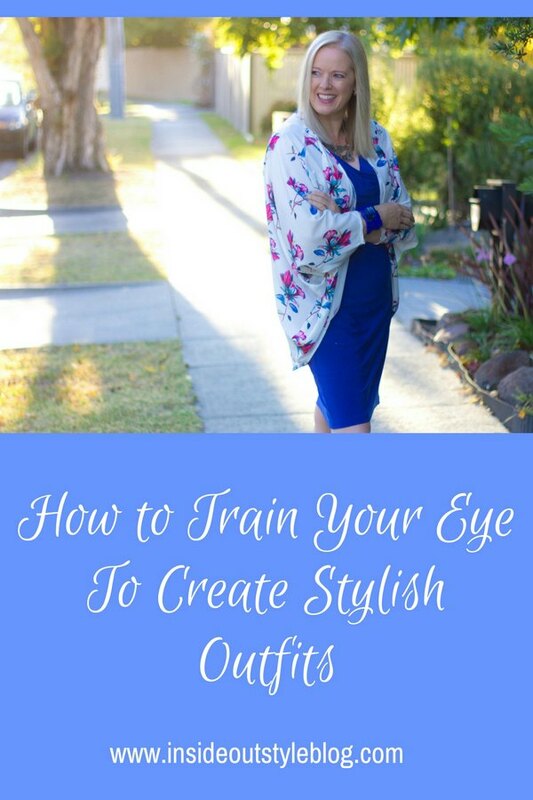 Doing a program such as 7 Steps to Style will give you the help you need on the “what suits me” element of style, discovering the colours, contrast, and other physical elements, as well as giving you detailed assistance in understanding how your personality influences your style choices. 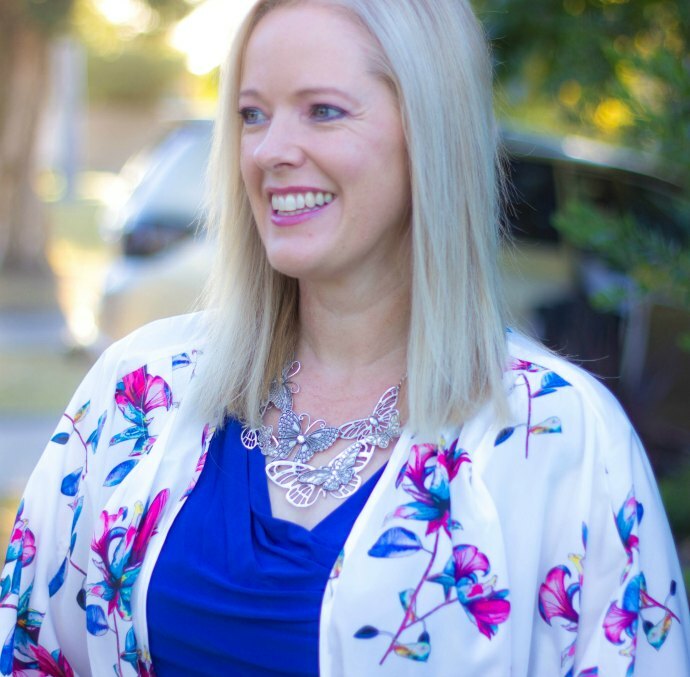 If you’ve completed the 7 Steps to Style (or had a consultation with an image consultant) and really want to dig deeper into your style – then my Ignite Your Style Genius is a program that has a series of monthly activities that will help you further develop your style. We’d love to know how you’ve trained your eye, heart, soul and mind when putting together outfits? Want to keep and print out these 5 Activities? You can download this post here. I have been photographing my outfits this year, and boy have I been surprised at how boring many of them were. Some clothes were bigger on me than I thought they were, too. It has been very helpful in evaluating outfits more objectively. Great work Susanne – identifying that your clothes don’t fit well is a big step forward in becoming more stylish! Now if only I knew how to do more complex alterations, such as taking a dress shirt down 2 sizes. Perhaps a tailor can do it for me. Yes that’s quite a big alteration – either a sewing class or a tailor! Mine, like you mention, is such an emotional thing as to if an outfit is successful. But nowthanks to you I can see how color comes into play in that. I seemed “off” yesterday before I headed out to give a presentation to engineers- swapped my collared black shirt for an eyeblinkingly bright yellow/green one with a scarf added to it and that unsure feeling lifted- I didn’t feel “off” anymore. Being able to recognize that’s its my clothes having an impact and isn’t in my head- well heck! A shirt is easier to change than my head! Thanks for sharing your experience Lauren – it’s fascinating just how much our heads are impacted by colour! Thanks for sharing Imogen! Photographing outfits is actually really great! I always review the photos after a few days, just to erase all my bias. Thank you ladies, this has been a very consolidating post for me. My problem remains that I cannot find the clothing or accessories that I feel either express my personality or fit my “rules” in terms of colour, cut and proportion. I think this just means that I need to spend more time shopping. But you both make it sound so easy! The big message for me was to not be ruled by the rules, but to see the bigger picture as well. Thank you. Hi Anne Marie, yes it can take time – I take more a browsing approach to shopping these days as I have a good wardrobe, it’s only if I really find something that is unique or different, that ticks all my boxes, does it enter my wardrobe. Jill and I have discussed shopping in a different video that may help too! If you’re after something specific, the internet is the way to go to start hunting down what you’re after – you can see lots of options of similar garments then go see them in real life if they are available locally, or if you think you love it, buy it online but be prepared to return if it doesn’t live up to you expecations.